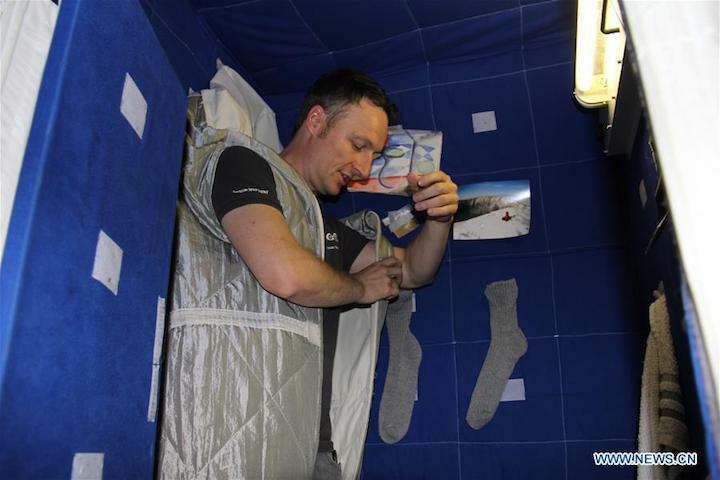 German astronaut Matthias Maurer shows the way to sleep in space station, in Cologne, Germany, July 18, 2018. 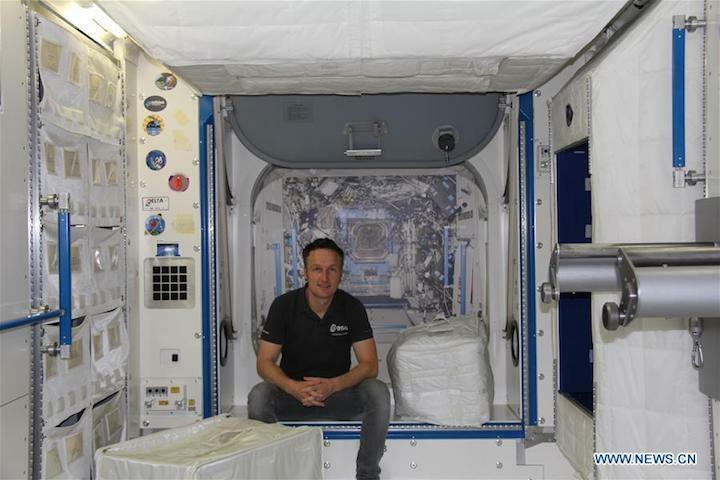 "I would expect to do any type of work and take the same responsibility as any Chinese astronaut in CSS (China Space Station)," said Matthias Maurer, a German astronaut. Maurer wishes he could work in CSS one day. 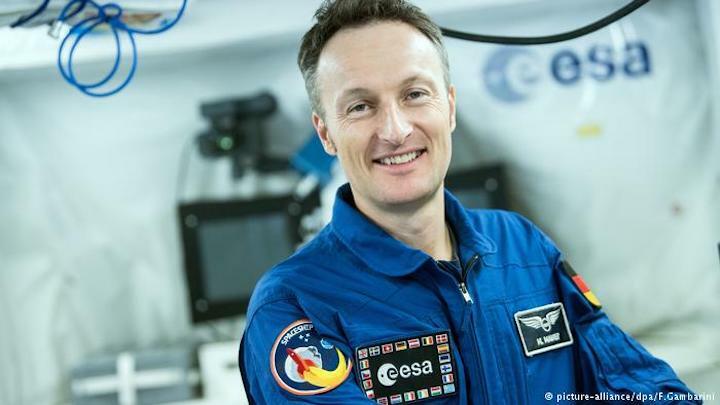 At the European Astronaut Center (EAC) under European Space Agency (ESA), located near the West Germany's city of Cologne, Maurer told Xinhua about his expectations for CSS. "I want to participate in both European and non-European experiments there. Also (to) build a live video connection so that the European public can talk with the European astronauts in the CSS and see inside," Maurer said. In 2012, Maurer took part in the cooperation program between ESA and China and started to learn Chinese because he may need to use the language if he works in China's Shenzhou spacecraft one day. Maurer said the cooperation is a "win-win." "We discussed what we can contribute at first and understood each other's way of work by exchange visits. Now we try to exchange every year," he said. He also proposed that bilingual manuals in the Chinese and English language be used in China's spacecraft and space station, "in case of emergencies like fire or toxic air." 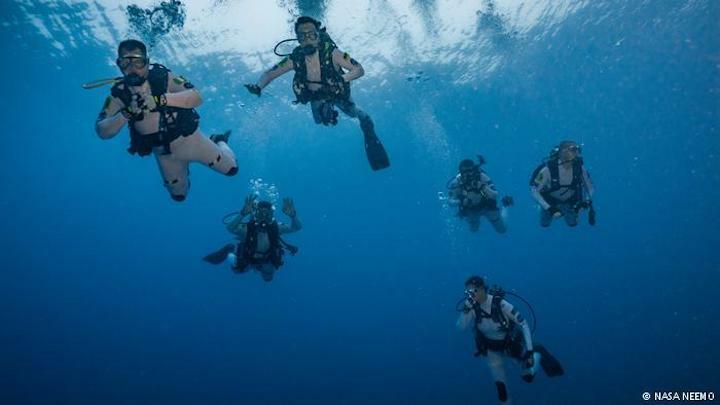 Maurer once participated in a sea survival training in waters off the coast of Yantai in east China's Shandong Province, organized by the Astronaut Center of China (ACC) last year. Maurer described the experience of training and living with another 16 Chinese astronauts as "like being in a family." "The shared experience of knowing each other is very important, since you may need to stay with three to six astronauts for as long as six months in the space station," he recalled. In 2016, Chinese astronaut Ye Guangfu also joined the ESA's caving course in Italy's Sardinia to experience extreme-environments as part of an international crew. Both activities are part of an agreement to boost collaboration between ESA and China with the goal of flying European astronauts in the Chinese space station, according to ESA. "ESA and China also have very close relations in the area of space science, like SMILE mission and Dragon program with our Chinese partners," said Anja Albermann-Bergener, communicator of ESA. China announced this May that all member states of the United Nations are welcome to cooperate with China to jointly utilize its future CSS. Mauerer said China has a lot of advantages such as its own rockets, capsules and a space station. Europe, on the other hand, has abundant experience in long-duration missions in space "which can be brought into our cooperation to make it develop more efficiently," Mauerer said.